From the earliest centuries there has existed a Christian theology of mysticism, defining the state which Bernard Lonergan called a "being in love with God." St. John of the Cross wrote such a theology for the sixteenth century, calling it "the science of love." Now, William Johnston, one of the great spiritual writers of our time, attempts to do the same for the twenty-first century.^In Part One of Mystical Theology Johnston surveys Christian mysticism through the centuries. Johnson shows that such a theology today must dialogue with modern science and with Eastern religions. Part Two provides this dialogue, where Johnston engages Einstein's theories as well as Zen Buddhism. In Part Three, it becomes clear how the "science of love" is no longer an esoteric discipline for monks and nuns. 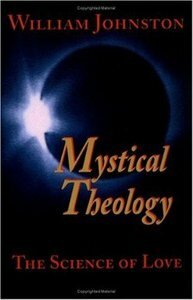 In Johnston's writing it becomes accessible to all modern people grappling with problems of sexuality, social justice, world peace, and the protection of the environment.^Mystical Theology is indispensable toall those seeking guidance as well as intellectual and historical foundations of the Christian mystical experience today. - Publisher From the earliest centuries there has existed a Christian theology of mysticism, defining the state which Bernard Lonergan called a "being in love with God." St. John of the Cross wrote such a theology for the sixteenth century, calling it "the science of love." Now, William Johnston, one of the great spiritual writers of our time, attempts to do the same for the twenty-first century. In Part One of Mystical Theology Johnston surveys Christian mysticism through the centuries. Johnson shows that such a theology today must dialogue with modern science and with Eastern religions. Part Two provides this dialogue, where Johnston engages Einstein's theories as well as Zen Buddhism. In Part Three, it becomes clear how the "science of love" is no longer an esoteric discipline for monks and nuns. In Johnston's writing it becomes accessible to all modern people grappling with problems of sexuality, social justice, world peace, and the protection of the environment. Mystical Theology is indispensable to all those seeking guidance as well as intellectual and historical foundations of the Christian mystical experience today. From the earliest centuries there has existed a Christian theology of mysticism, defining the state which Bernard Lonergan called a "being in love with God." St. John of the Cross wrote such a theology for the sixteenth century, calling it "the science of love." Now, William Johnston, one of the great spiritual writers of our time, attempts to do the same for the twenty-first century. WILLIAM JOHNSTON has translated several works from the contemplative traditions of both East and West, as well as work by the great Japanese novelist Shusaku Endo. HUSTON SMITH, the author of "The World's Religions," is widely regarded as the most eloquent and accessible contemporary authority on the history of religions. He has taught at MIT and the University of California, Berkeley.